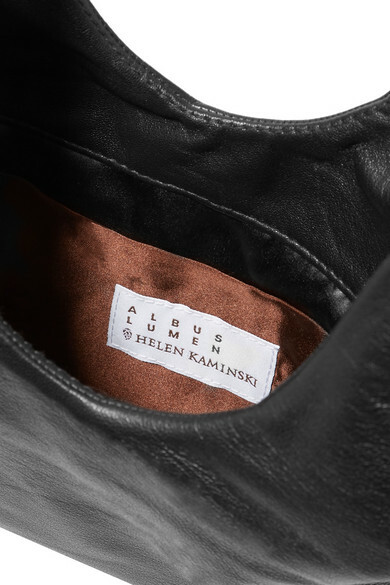 Albus Lumen's designs are equally understated and cool. 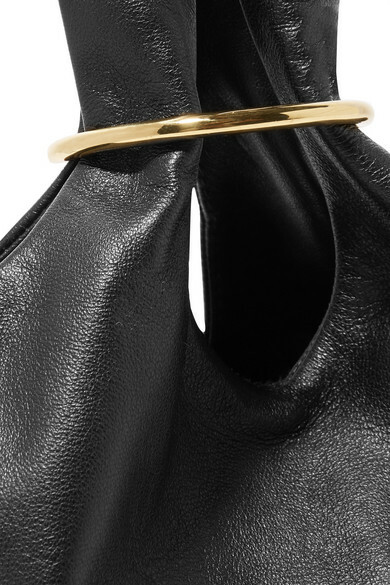 Defined by its slouchy shape and gleaming gold ring, this 'Sensillo' tote is crafted from supple black leather and opens to a silk-lined interior with enough room for just the essentials. 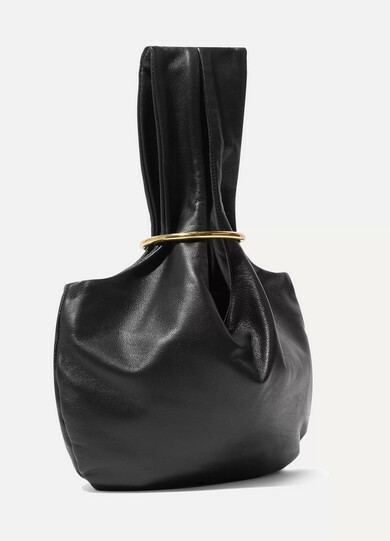 Carry it in-hand to dinner. 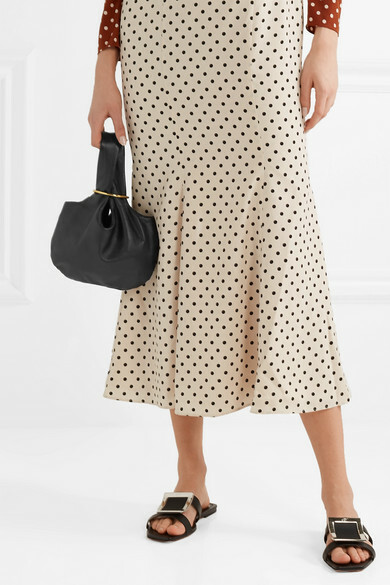 Shown here with: REJINA PYO Dress, Roger Vivier Slides, Isabel Marant Earrings.